Butternut Squash Soup - So Easy, and So Much Flavor! 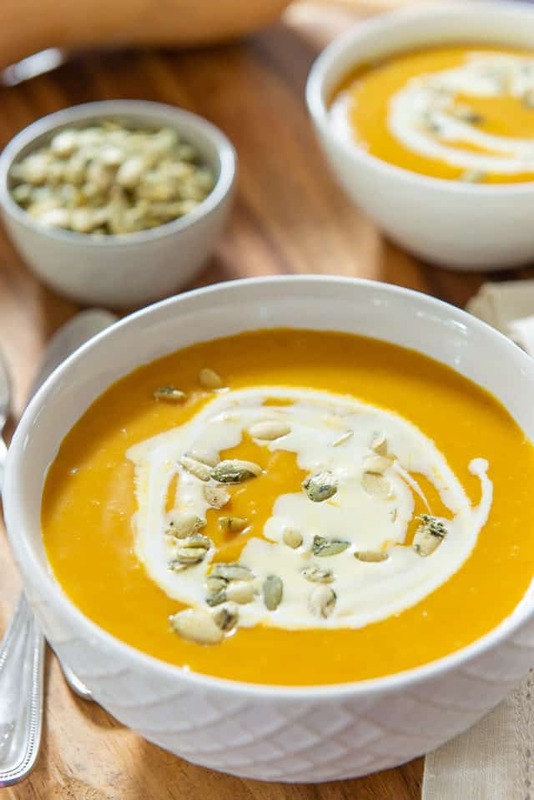 This Butternut Squash Soup Recipe is creamy and delicious, without being loaded up with heavy cream. It’s easy to prepare, and the incredible flavor of the butternut squash really shines. I’d like to think this is the most elegant version of butternut squash soup out there. 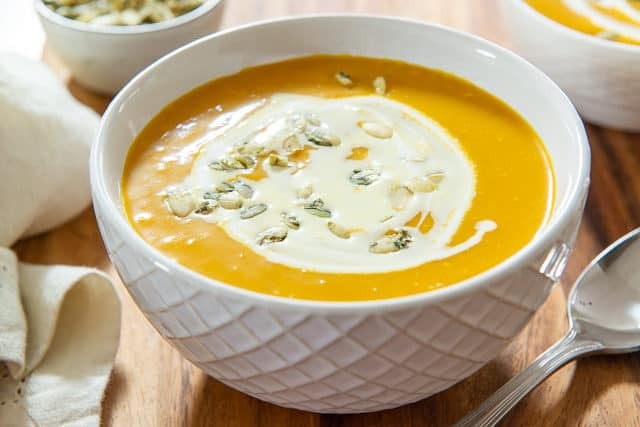 It’s easy to make soups taste good by adding lots of fat or added sugar, but I wanted to make a healthy butternut squash soup that can be made without dairy entirely, without any added sweetness, and taste intensely of butternut squash. For the best butternut squash soup, you’ll want to use Roasted Butternut Squash. 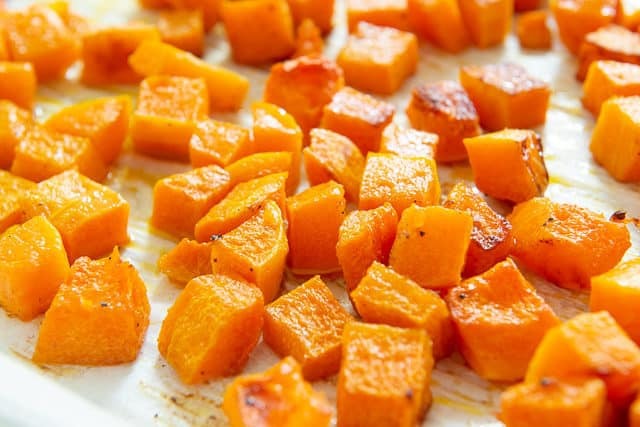 Because roasting caramelizes and intensifies the natural sweetness and flavor in butternut squash, and roasting cubes in particular maximizes the amount of surface area for that to happen. You just can’t get the same effect if you simmer the squash in the broth. What I do when I make roasted butternut squash is make a double batch, one for eating as a vegetable side or in a salad, and one batch for soup. Next you’ll want to add the Roasted Butternut Squash, and it can either be hot out of the oven, or previously roasted and stored in the fridge or freezer. Bring to a boil, and simmer for 2 minutes. Then puree the soup. The blender is a little more annoying than the immersion blender, but I find it makes for a MUCH smoother soup, so I prefer it. Roasted Acorn Squash is another one of my favorite squash recipes in the colder months. Enjoy! 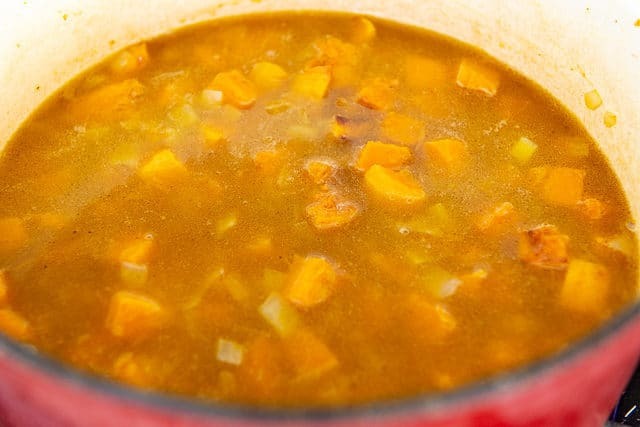 Can Butternut Squash Soup be frozen? Yes, this freezes well. Store for up to 2 months. How long does Butternut Squash Soup last in the fridge? Store for up to 7 days. 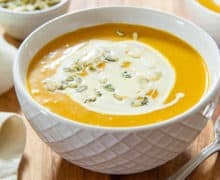 This Butternut Squash Soup Recipe is thick and delicious, and it isn’t loaded up with heavy cream. It’s easy to prepare, and the sweet and savory qualities of the butternut squash shine. 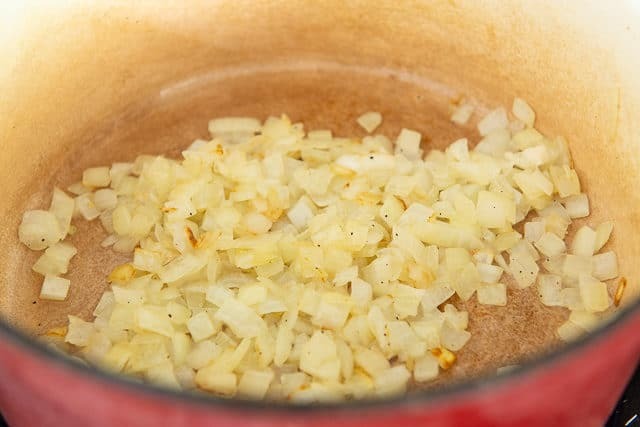 Melt the butter in a soup pot over medium heat, then add the onion, salt, and pepper, and cook for 10 minutes, until the onions are soft. Add the roasted butternut squash cubes and cinnamon, and stir for 2 minutes, until the cinnamon smells fragrant. Add the stock, bring the liquid to a boil over high heat, then reduce to a simmer. Cook for 2 minutes at a simmer. 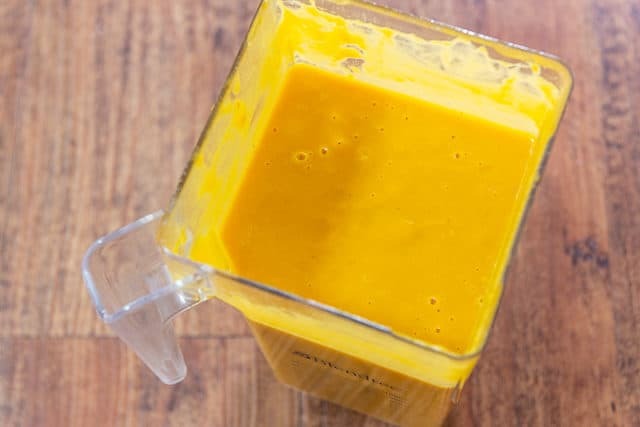 Puree the soup, either using an immersion blender, or by cooling the soup slightly and blending in a blender (you will likely need to do this in batches). Taste the soup, and see if it needs more seasoning. Serve as is, or with a drizzle of heavy cream and a few pumpkin seeds, if desired. Enjoy! 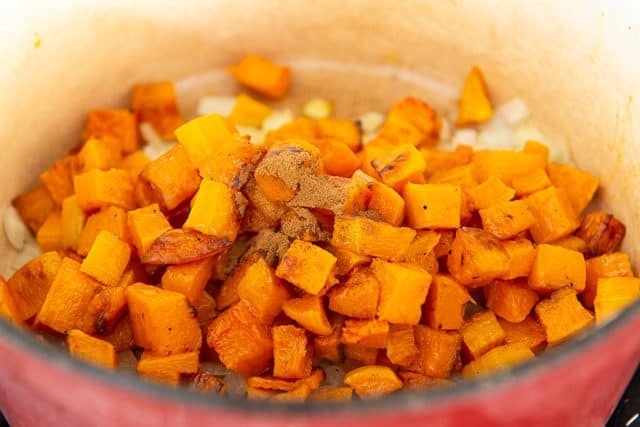 *I strongly recommend using Roasted Butternut Squash in this recipe, as the caramelization that happens when roasting the squash in cubes makes a huge flavor difference in the soup. I often make a double batch, one for eating, and one batch for this soup. However, you may also cube the butternut squash raw and simmer it for about 20 minutes in the stock until soft, and then puree. **I like my soup on the thinner side, as I don’t want to feel like I’m eating butternut squash puree in a bowl. 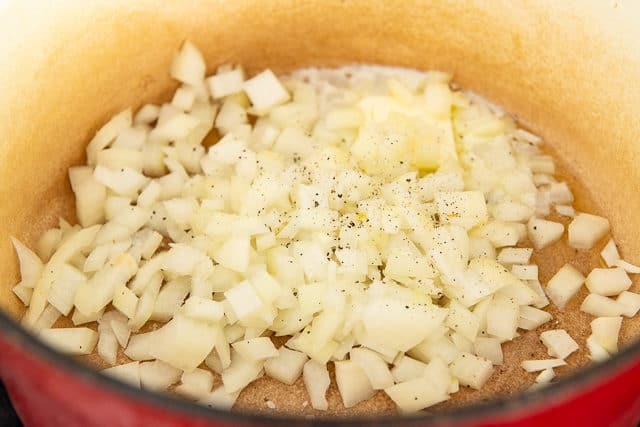 If you like a thicker soup, you can start with 4 cups, puree it, then taste and add more broth as desired. This recipe yields a little bit over 7 cups of soup. Post updated in October 2018. Originally published November 2015. Best butternut squash soup I’ve ever made! 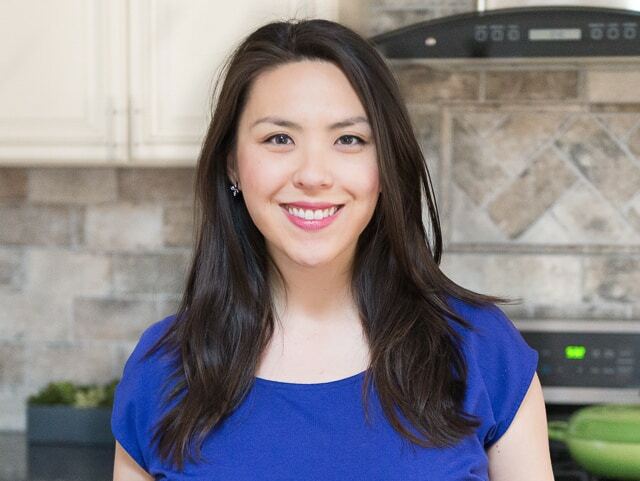 I used my immersion blender (one of my favorite kitchen tools!) and it turned out so silky smooth. The roasted squash makes a noticeable difference in the flavor and the cinnamon is just the right amount. I made this for a ladies luncheon today and served it alongside coconut cream and pumpkin seeds for garnish. There was hardly any left afterwards! Thank you for the recipe.